There is no shortage of wonderful places in Korea, but perhaps none quite as naturally beautiful and pure as Pyeongchang. A host city of the upcoming international winter sports event, Pyeongchang is famous for its beauty in fall and winter; it appeared as the background for many scenes in the popular 2016 K-drama, “Guardian: The Lonely and Great God.” However, nature isn’t the only thing waiting for tourists. Pyeongchang is home to relics of traditional culture, galleries full of modern art, and many more unique attractions. 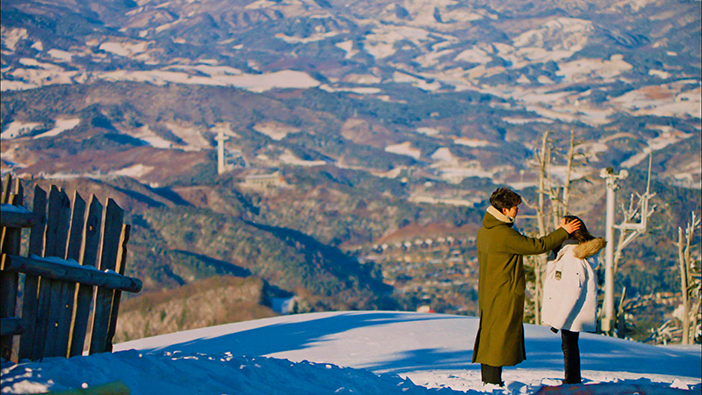 This winter, take in the refinement of Pyeongchang’s nature and arts. Woljeongsa Temple, located within the pristine beauty of Odaesan Mountain, recently rose to popularity thanks to appearing in the drama “Guardian.” Viewers will recognize Hatalgyo Bridge and the fir forest paths. The fir forest path in particular is worth a visit, stretching for nearly 1km from the main gate of Woljeongsa Temple. The release of phytoncides into the air makes this a must-visit attraction for weary travelers. 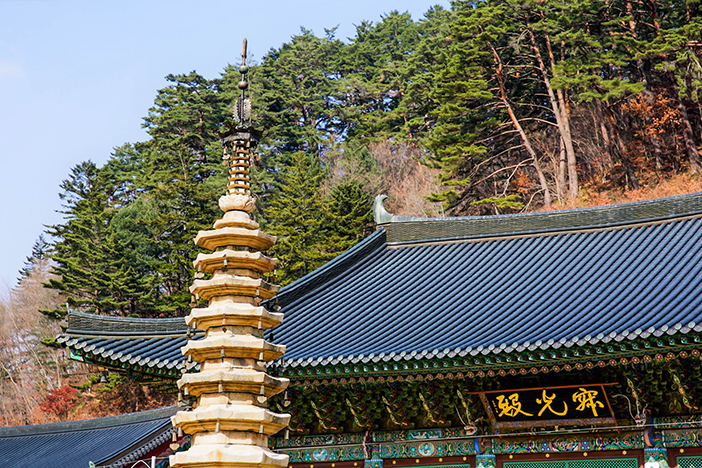 Woljeongsa Temple has a long history, having been established in AD 643, during the 12th year of Silla Queen Seondeok’s reign. The temple preserves many national treasures, including the Octagonal Nine-story Stone Pagoda of Woljeongsa Temple. These days, the templestay program here is flourishing. Visitors can enjoy spiritual healing, or learn more about Buddhism through an overnight stay at the temple. 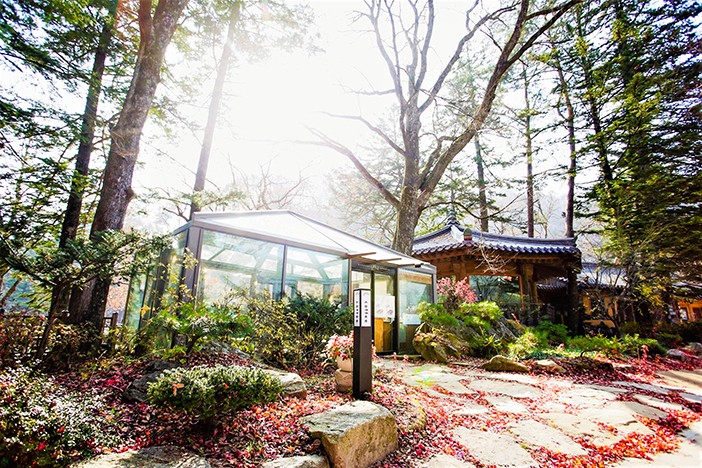 Café Nandana, located within Woljeongsa Temple grounds, gets its name from the Buddhist term for a hanging garden. Visitors will understand the meaning behind the name when stepping out onto the terrace, set within the tree branches. Grab a seat and take in the beauty over a cup of house-made fruit tea or with some bread. The café’s bakery selection includes breads and muffins made with brown rice, or with various dried fruits for a bit of sweetness.